Couture Bridal Photography is the most preferred Wedding Photography studio for artsy documentary wedding photography. Couture Bridal Photography is internationally known for the most distinct and artistic documentary wedding photography styles in the United States. Founded by Alfredo Valentine, a lifelong student of photography, Couture Bridal Photography was created out of the necessity to provide brides and grooms with really artistically captured wedding photography. Couture Bridal Photography provides couples with story telling wedding photography with the unique use of several photography disciplines and advanced lighting techniques to create the most compelling heirloom images in South Florida. The unique style and distinct approach to wedding photography has made Couture Bridal Photography the most sought after and preferred Wedding Photography studios in the United States and Caribbean, Serving Miami, The Florida Keys, Fort Lauderdale, Palm Beach, Treasure Coast and destinations worldwide, the professional photographers at Couture Bridal Photography are specialists in creating the most amazing images from nothing. Most Fort Lauderdale Wedding Photographers and Wedding Photography studios merely capture snapshots throughout the day and are focused on large profits with little work. Couture Bridal Photography offers the most value with low affordable pricing and award winning wedding photography. 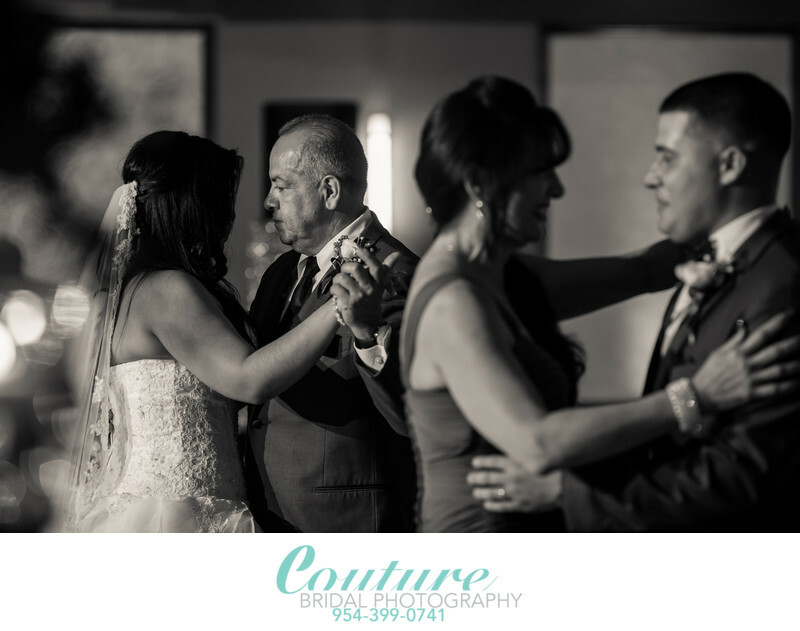 Couture Bridal Photography is also focused on creating the most bride-centic personalized customer service to make each couple an integral part of the creative wedding photography process. Couture Bridal Photography also provides brides and grooms with the best professional printing and handmade wedding albums by Graphistudio in Italy. As a premiere Fort Lauderdale Wedding Photography studio, Couture Bridal Photography is booked by more brides than any other and the most preferred at most of South Florida's most popular, as well as luxury Wedding venues. Keywords: Black & White (6), Wedding Photography (6), Wedding Photojournalism (3), Wedding reception (12). 1/200; f/2.8; ISO 400; 135.0 mm.